After writing about the Duc de Joyeuse who slaughtered Huguenots, it may be a good idea to look at absolutism. In France, absolutism meant: one king, one language, one religion. It was achieved at a cost that makes absolutism a Pyrrhic victory. Chasing away the Huguenots deprived France and New France of citizens who, by and large, were an asset to their community and would be asset to the countries to which they fled. Yet, as the Wars of Religion took their toll, courtiers danced. Jean-Baptiste Lully composed ballets de cour, but composers also wrote Suites, mostly dances. JS Bach‘s English Suites, French Suites and his Partitas (for the keyboard) are a good example of the union of rythme and melody, but his suites were not the galant music composed by his sons, the eldest, Wilhelm Friedemann and Johann Christian. The “Classical” Suite for the keyboard consisted of an allemande, a courante, a sarabande(very slow), and a gigue (fast). It was developed in France and grew to contain the minuet, the gavotte, the passepied, and the bourrée. Some suites are introduced by a prelude. The image at the top of this post features a grotesque ballet de cour. The grotesque flourished in the late years of the 16th century and the early years of the 17th century in France, showing a distorted form of beauty perhaps consistent with the pity of the wars of religions. The gargoyles of medieval cathedrals reflect a related duality. Daniel Rabel was a 16th-century French court artist during the French religious wars. For several years he was a set and costume designer for nascent ballets de cour which he somehow ridiculed through grotesque depictions that can be associated with comedy. But let us listen to a menuet by Luigi Boccherini. The menuet, or minuet, is a triple–meter dance (1–2–3 ; 1–2–3), perfect for a bal at court. The Waltz also has a triple meter: 1–2–3. As we know, Louis XIII wrote a ballet de cour, the Ballet de Merlaison, dance music. I do not know if Louis XIII’s music has already been entered into one of the official periods of music. I would surmise it is Baroque music. However, the Ballet de la Merlaison has been revived and was performed in May 2012, in Compiègne. But let us discuss Boccherini, whose music is delightful. 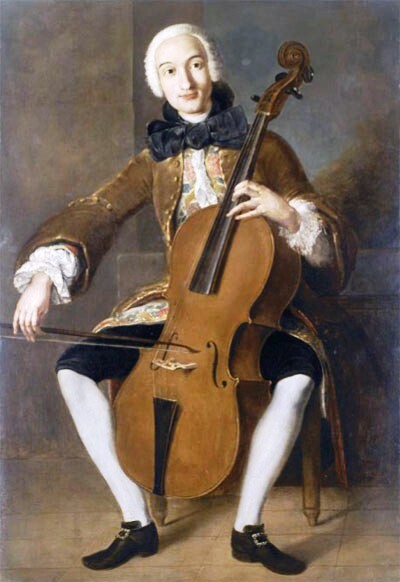 Luigi Rodolfo Boccherini (Lucca, Italy, 19 February 1743 – Madrid, Spain, 28 May 1805) is an Italian-born composer who worked and died in Spain. He composed in the Galante style, fashionable between the 1720s to the 1770s) and is a Classical composer. Boccherini was influenced by Spanish music. His Musica notturna delle strade di Madrid, but the Menuet I am featuring could have been composed by Haydn. It is in the sensitive style.